Stingrays spotted in British waters during the recent summer heatwave. As 2018 continues to bake in the Northern Hemisphere the Atlantic ocean is beginning to show increased stress as strange and unusual creatures are turning up where they don't belong. 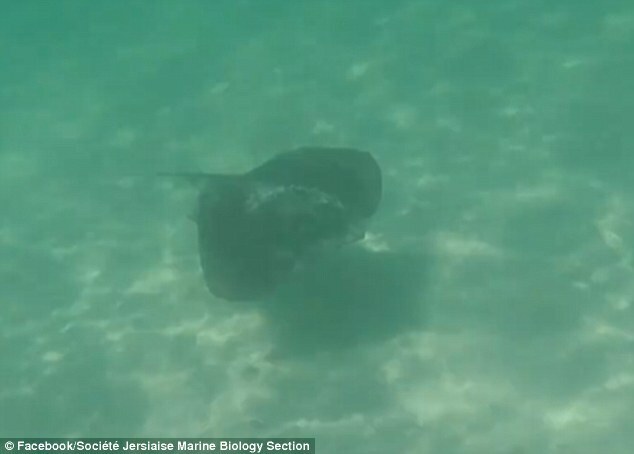 Stingrays have been spotted in shallow water close to a number of beaches in the Channel Island of Jersey in the UK. 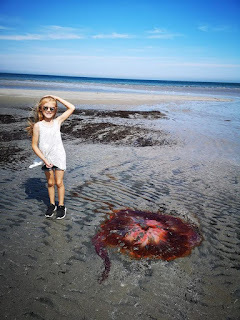 According to The Daily Mail, the increased numbers of the deadly creatures are believed to be linked to the prolonged spell of warm and settled weather, which has encouraged stingrays to move out of deeper water. Meanwhile, the BBC reported yesterday that swimmers were warned over a 9ft blue shark spotted close to the beach in St Ives, Cornwall. 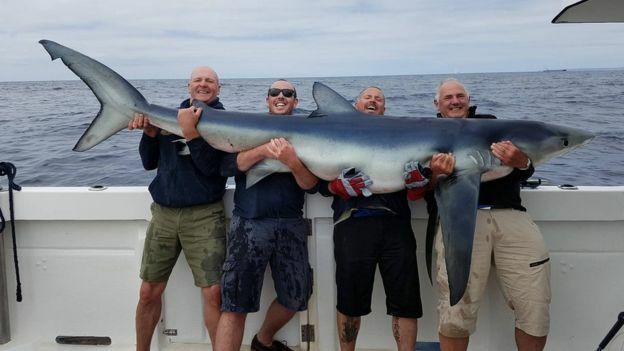 The largest blue shark caught in the UK was landed off Cornwall last July and then released Research from the University of Southampton suggests new kinds of shark could migrate to UK waters as the oceans warm. Dr Ken Collins, from the university's National Oceanography Centre, says 10 species of shark currently found in warmer parts of the world could inhabit the UK seas by 2050 because of climate change. Across the pond, two youngsters frolicking in the surf miles apart along the Fire Island National Seashore in New York suffered puncture wounds to their legs on Wednesday in apparent shark attacks that would mark the state's first such incidents in 70 years, authorities said. The victims - a 12-year-old girl and a 13-year-old boy - were discharged after emergency medical treatment for their separate mishaps, each with a bandaged right leg, and both were expected to fully recover. Separately, a 7-foot(2.2 meters)-long tiger shark was caught by a fisherman at Kismet, another beach town 2 miles (3.2 km)west of Islip, Levine said, adding he doubted either animal involved in Wednesday’s attacks was that large. 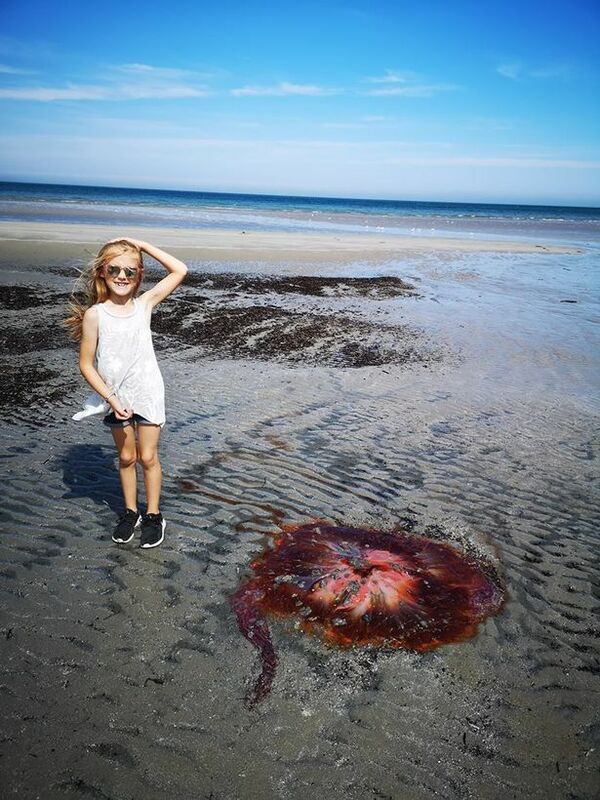 Last week, monster-sized jellyfish swamped Northern Ireland beaches and Portuguese-man-of-war, thousands of miles from their normal habitat have been spotted around UK beaches. Left giant sized Jellyfish reported by BelfastLive.com. In late May this year, the coastline of the French resort Palavas-Les-Flots turned a dark purple after jellyfish-like organisms called velella velella washed ashore in the billions. While velella velella clusters are a somewhat regular occurrence on U.S. coastlines, this marks the first time they've been observed on this part of the French coast.